The success of the fluid power industry, both in hydraulics and in pneumatics, is not in its hardware, pumps, valves, cylinders, and hoses, but rather the success is through the efforts of our dedicated individuals: innovators, researchers, application engineers, educators, as well as sales and service personnel. These people are the reasons that our industry continues to thrive. A special award has been established to acknowledge those individuals who have dedicated their careers, and have made significant contributions to fluid power technology. The International Fluid Power Society, 2019 Hall of Fame host, is accepting nominations for the 2019 Inaugural Class of the Fluid Power Hall of Fame. 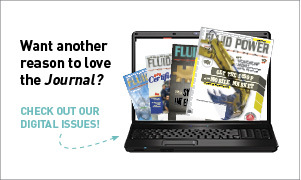 Nominees and award recipients will be announced on June 19, 2019 – Fluid Power Professionals’ Day. Any person can nominate an individual, living or deceased, who demonstrated excellence within their 25+ year fluid power career. Nominations accepted January 1 – April 15, 2019. Verifiable 25 cumulative years in the fluid power industry. Those nominated will be asked to complete a 13 question application. 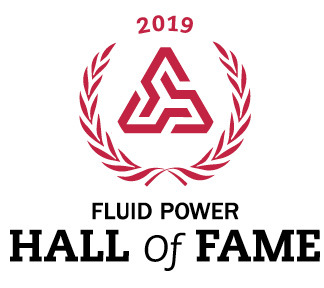 A panel of judges will review and select the 2019 Inaugural Class of the Fluid Power Hall of Fame.